You could be forgiven for confusing “Inside Japan’s Nuclear Meltdown,” tonight’s nail-biting installment of Frontline, with an international thriller directed by Steven Soderbergh or Paul Greengrass. The hour-long documentary is a minute-by-minute account of the efforts made by a team of scientists, firefighters, and government officials to avert a full-scale crisis in the wake of the massive tsunami that struck Japan last year. Using footage from inside the plant as well as eyewitness accounts from Fukushima locals, former and current employees at the facility, and even former Prime Minister Naoto Kan, “Inside Japan’s Nuclear Meltdown” provides the viewer with a very real sense of the terror that unfolded behind the scenes. This is Frontline at its best—both extremely informative and utterly riveting. For those of you keeping track, this is the second Frontline covering the disaster in Fukushima. Last month’s “Nuclear Aftershocks” took a more macro view of the incident, looking at how it fundamentally altered public opinion on nuclear power at a time when viable alternatives to fossil fuels were more crucial than ever. “Inside Japan’s Nuclear Meltdown” adopts a more limited scope, focussing solely on the mechanics of the disaster itself, but it’s no less startling as a result. If anything, it’s a stark reminder of the precarious nature of nuclear technology, and the awesome responsibility it demands of its proponents. The special begins with an ominous onscreen title that reads “March 11, 2001: Day One,” and the rest of episode is punctuated with time stamps that tell the viewer how long it's been since the crisis began. It’s a cinematic device that works in this context—the story of a massive, unprecedented nuclear disaster in which time means everything. 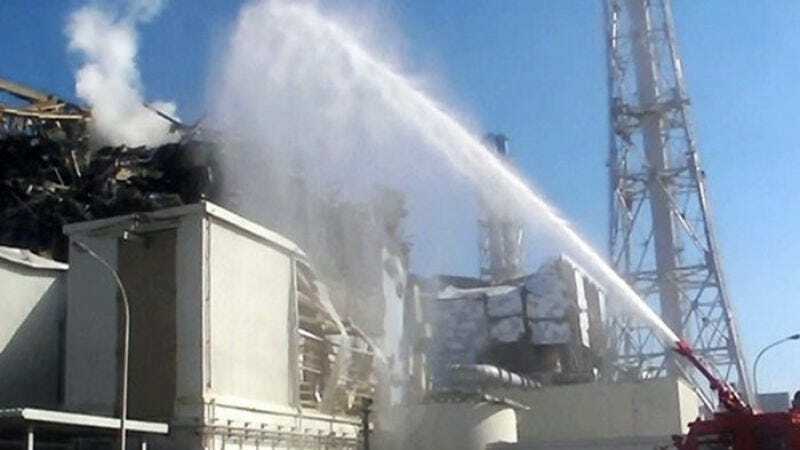 As always seems to be the case before a catastrophic accident occurs, the mood at the plant on the morning of March 11 was, according to one worker, relaxed. Even after the earthquake struck that afternoon, plant workers remained calm. Japanese nuclear plants were designed to withstand earthquakes—or so they had been told. As we all know, this was not the case. The wave that eventually made landfall was twice the height of the seawall protecting the Fukushima complex, and TEPCO, the energy company that operated the plant, had ignored warnings about its vulnerability to a tsunami. Making matters worse, top executives at TEPCO also failed to tell Prime Minister Naoto Kan that, without access to power, they didn’t know how to release the radioactive gases that had built up inside the reactor. Kan, who was forced to resign after the disaster, describes dealing with them as a “a game of telephone.” Later, TEPCO executives ordered the evacuation of the plant—some claim the company intended to fully abandon the facility, but the company denies this. But even TEPCO’s negligence cannot diminish the heroic efforts of the plant’s employees, who risked their lives trying to stave off disaster. The workers were industrious, scavenging batteries from their cars in order to power the plant’s pressure gauges. Many of them were also unimaginably brave, going on a so-called “suicide mission” into the dark, hot reactor in order to manually release the vents. Four days after the tsunami, the plant’s manager ordered nearly all of the 250 employees to evacuate. One former employee, speaking on camera, confesses to feeling relieved. “I just wanted to get out,” he says. It’s hard to blame him. The special also features interviews with a pilot and a team of firefighters sent to douse radioactive, spent fuel rods with water—a mission that may yet prove fatal to those involved. Director-writer-producer Dan Edge interweaves the unfolding nuclear crisis with the very personal story of Norio Kimura, a local farmer who lost his father, wife, and youngest daughter in the tsunami. After searching for hours for his lost family, he had to make a critical decision of his own: Stay and continue his search, or leave and protect his surviving daughter from radiation. It’s an effective way to humanize the narrative, and to occasionally remind viewers what was happening outside the plant while all this drama was taking place. If “Inside Japan’s Nuclear Meltdown” has a flaw, it’s that it doesn’t shed enough light on the science behind the disaster. In the end we don’t really know why three of the plant’s reactors eventually exploded (despite the Herculean efforts of plant employees) or why, exactly, the spent fuel rods were so radioactive in the first place. It’s a minor quibble and, in the end, it probably doesn’t matter that much. This is, after all, a special not about nuclear science, but about human ingenuity—and human failure.